A writer has taken to the air and got on board of a vintage aircraft to research her novel about early aviation. Passengers have been left stranded after a transatlantic airline operating from London Stansted went into administration. Danish leisure carrier Primera Air has announced it has exhausted all possible hopes of saving the company. It's claimed travellers at Stansted were only told of the airline's demise as they were waiting for their flight. Primera Air, which was owned by an Icelandic company, says it wasn't able to resolve financing issues which had been ongoing for some time. With a great regret, we must inform you that Primera Air will cease all operations on the midnight of October 1st, 2018 and enter administration process, after 14 years of operations. This is a sad day for all the employees and passengers of Primera Air. The company has been working relentlessly during the last months to secure the long-term financing of the airline. Not being able to reach an agreement with our bank for a bridge financing, we had no other choice than filing for bankruptcy. This evening the Civil Aviation Authority encouraged passengers to use it's website for advice. It says stranded passengers will have to make their own arrangements for getting home. Primera Air, a Danish scheduled air carrier which operated services from various points in the United Kingdom, has announced it will cease operations. Primera Air is not covered by the UK Civil Aviation Authority's ATOL Protection scheme which only covers passengers booked on a package holiday. The collapse has come almost a year to the day after Luton based airline Monarch ceased operations on October 2nd 2017 when around 2,300 people lost their jobs. After the Queen declared the Norman Foster terminal building at Stansted open on 15th March 1991 just over a million people a year were using the Essex airport. In the years which followed a lot has changed. 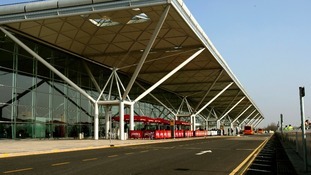 Stansted is now a major hub for low cost airlines and annual passenger numbers have risen to more than 23 million. The terminal has been extended twice. In 1991 the Queen opened the new terminal building at Stansted. In the 25 years that have followed the airport has undergone rapid growth. 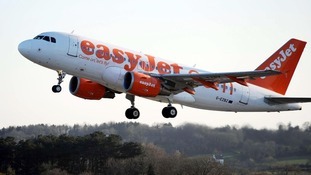 Luton based airline easyJet has posted smaller-than-expected winter losses as the carrier benefited from flying a record number of business passengers. The airline reported a total of 27.6 million passengers in the six months to the end of March, a rise of 4%. The business, which has courted more lucrative business customers through seat allocation and priority boarding, said it flew a record 12 million business passengers in the year to March. Senior executives say they've managed to cut costs, boost margins and increase capacity. 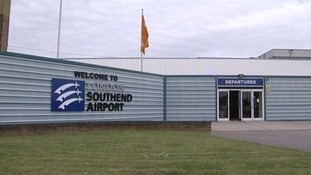 People in Southend are to be given further information about the airport's plans to reintroduce controlled airspace. Southend Airport controlled the airspace around the runway up until 1993. Now senior managers say they want it back to further safeguard planes flying in and out. Luton Airport has won the 2013 ExxonMobil Aviation Safety Award. The award recognises the safety standards and culture of both the team at the London Luton Airport’s ExxonMobil depot and London Luton Airport's Airside Operations team. Stansted Airport has signed a new deal which will see Air Moldova move its UK operations from Gatwick to Essex. Stansted has recently been taken over by Manchester Airports Group which is keen to increase the number of passengers passing through the main terminal. Air Moldova will begin twice weekly flights to Chisinau International Airport on 29th April. Cambridge based Marshall Aerospace and Defence Group has bought FlairJet, an aircraft management and charter company which operates out of Oxford. The company will become part of the Marshall Aerospace's newly formed Aviation Services business unit. FlairJet was formed in 2009. Since then it established itself as an aircraft management company operating Embraer Phenom jets. It recently expanded to embrace the Middle East, Africa, the Caucuses and Russia. Luton based airline easyJet is to create 330 new jobs for pilots this year across its 11 UK bases, which include Southend, Luton and Stansted. The company says it offers a clear career path for pilots with the potential to move from first officer to captain more quickly than other airlines.